Hi team.....I can get my hands on this powder and see that it's mentioned with other types on the .260 Lee pacesetter die sets. Have any of you .260 guys used H 4350? if so would like to hear what you think. H4350 is the exact same powder as ADI AR2209 made by the same company. So yeah, lots of guys will have used it in the 6.5s. I use it in .243Win and 6.5 Creedmoor. My observation is that there has been a noticeable change in velocity (up) between bottles which have come from different lots. So not the most consistent but then not sure which powders could claim to be the exact same from lot to lot. 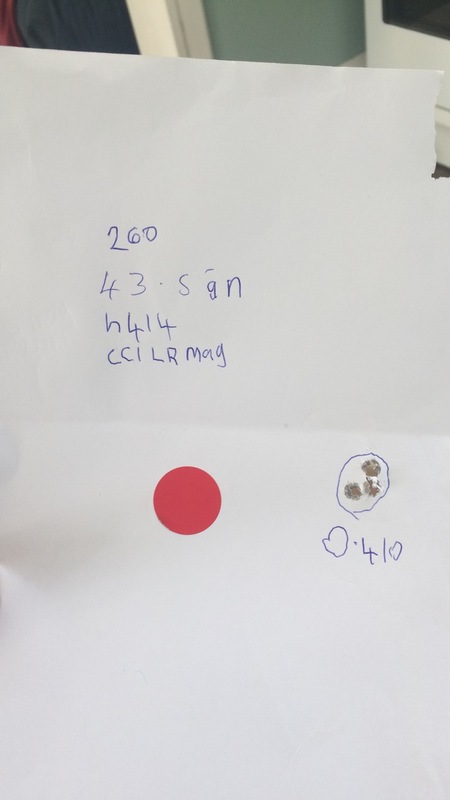 H4350 is the standard goto powder for 6.5 Creedmoor the world over, can’t speak so much for .260 Rem but they are so similar that I’d be surprised if it wasn’t in the top3 powders used for this cartridge. My mates in Aus who shoot .260 use 2209. It gives you a nice full case and an easy 2750fps+ so all good. You can’t really go wrong with it IMO. johnd, SlimySquirrel and PERRISCICABA like this. yeap 2209. Know heaps of guys shooting 260 with it. 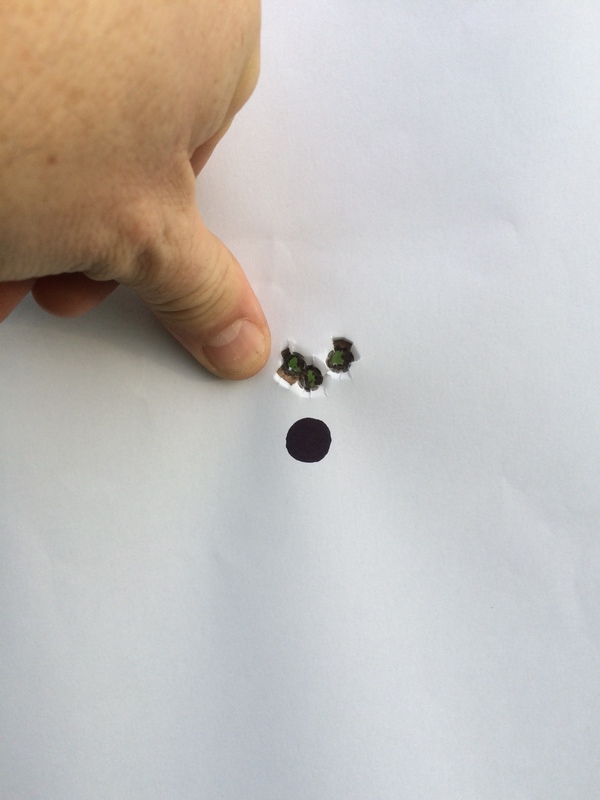 I have to say I was surprised but it improved the results I got out of my rifle across the board. I'm not too fussed on the top speed thing as I'm chasing accuracy... a gnats whisker over 18'' barrel. Doinit, I reckon its one of things that you need to test. I get groups like the ones above in my 6.5CM with 2209, but on my to do list this winter is to try a spherical powder anyway, just to see, most likely H414 / Win 760. My Aussie mate uses both AR2209 and H414 in his .260 with Lapua Scenars and Sierra TMKs and gets outstanding results with both. At the end of the day its down to your rifle and your reloading skills. What someone else gets is a guide only, you may or may not get the same results. There’s a thread on another forum I’m following where the one shooter who has the exact rifle as me was spinning his wheels trying to get fairly standard loads posted by others to work as well with his rifle. He chased velocity from the get go and started quite far up the powder weight scale, he just got frustrated. Probably deserved it too. 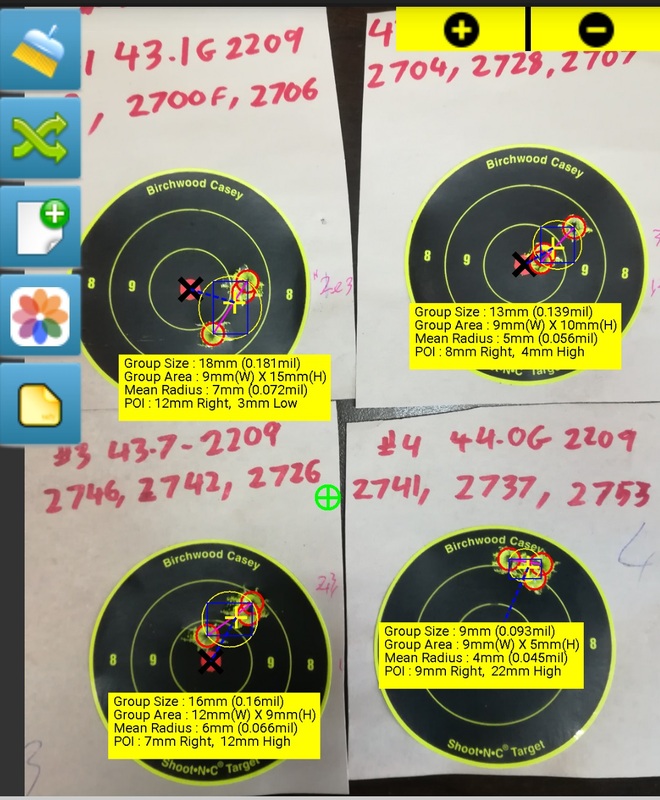 In the end, he restarted, at the bottom of the scale, and found a perfect accuracy node right in the middle of the book range, at a lot lower powder weight than others using the same components in the same rifle. So if I were you, I’d do the basics right, with whatever powder you can get reliably. If it works out then great, stick there and buy enough powder from the same lot to keep you in business for a nice long while. That “same lot” bit is quite important else you’ll be buggering around like me trying to work out why my pills are suddenly flying that much faster that I’m shooting over the top of them damn goats. doinit and PERRISCICABA like this. Yeah Flyblown ,will work up a brew that I'm happy with and leave it at that. Thanks team for the input,can make an old goat smile.